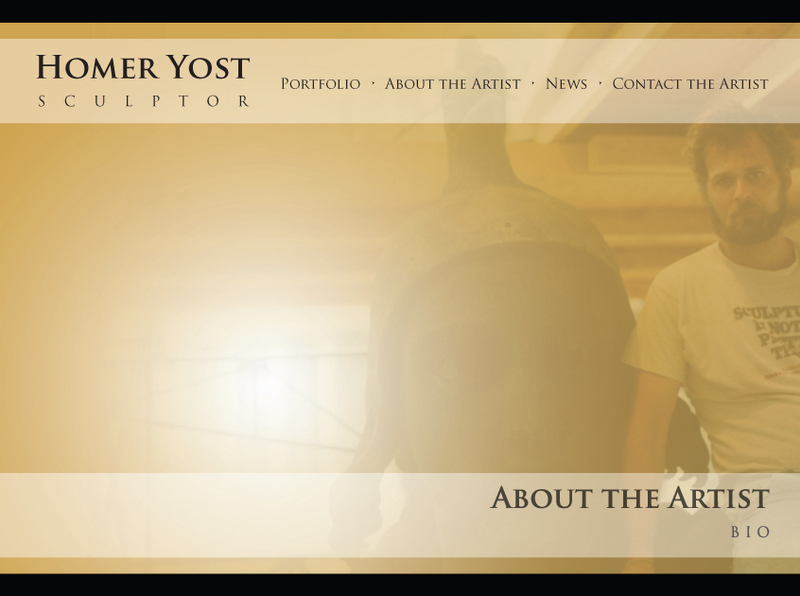 Homer Yost has been drawing and sculpting for more than 30 years. He currently works in a studio that he renovated at his home on a small sheep farm. After completing his undergraduate degree in humanities at Upsala College in East Orange, New Jersey in 1977, Homer studied figure drawing and sculpture with Sigmund Abeles at the University of New Hampshire-Durham. In the 1980’s he studied under Peter Agostini and completed his Master of Fine Arts at the University of North Carolina at Greensboro. In 1986 he traveled to England and Italy as an artist-in-residence with the University of Georgia at Athens. In 1993 Homer was one of the sculptors who worked on the restoration of the bronze monument of the Freedom Statue that sits atop the Capitol building in Washington, D.C. In the late 1990’s he began creating sculptures for churches, first for Holy Family Catholic Community in Maryland, and then Queen of Peace Catholic Church in Colorado. Recent commissions include two heroic-sized diamondback terrapins cast in bronze. Homer has exhibited his work at galleries and colleges in many states around the country, as well as England and Italy. For more than 15 years, Homer exhibited with Tracy Causey-Jeffery, for five years in Salisbury, Maryland, and then ten years in Brooklyn, NY at Causey Contemporary. Currently, he exhibits his drawings and sculptures at Gallery 322 and The Griffin Art Center in Frederick, Maryland and with the Bridge Gallery in Shepherdstown, West Virginia.